2125.01.03 There is not enough fuel at Olympia to refuel the entire fleet. 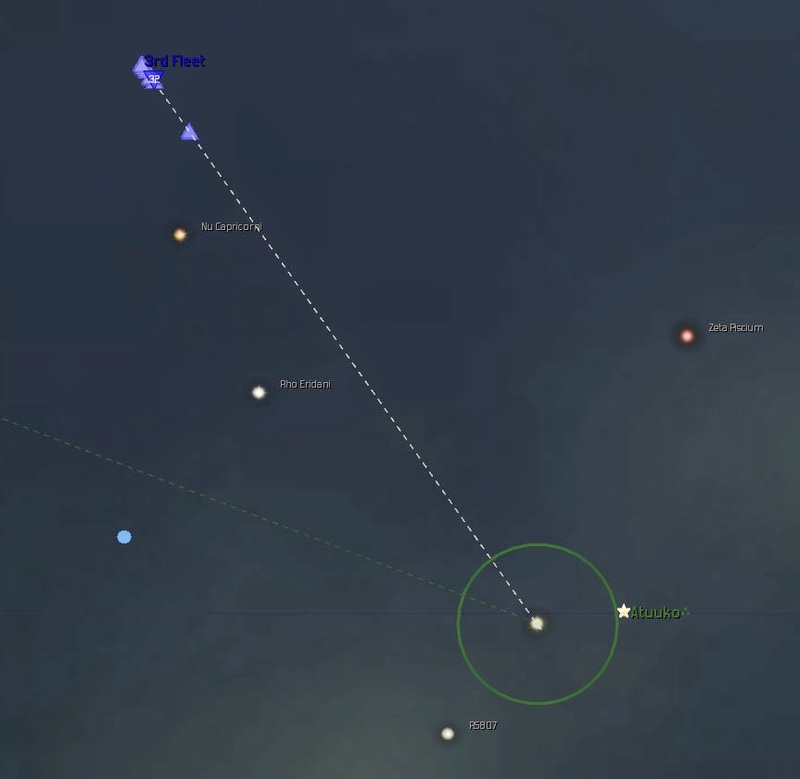 It drops two ships, then sets a course for Atuuko 4. 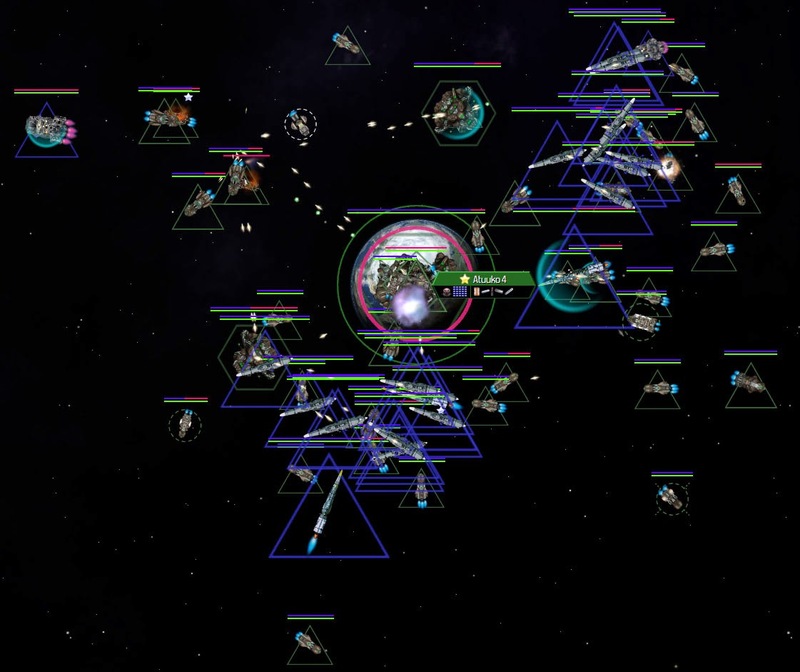 To the great shock of all the planners, the Atuuko have had a similar idea (that is, attack the enemy's home planet), and sent a fleet to attack Olympia itself. 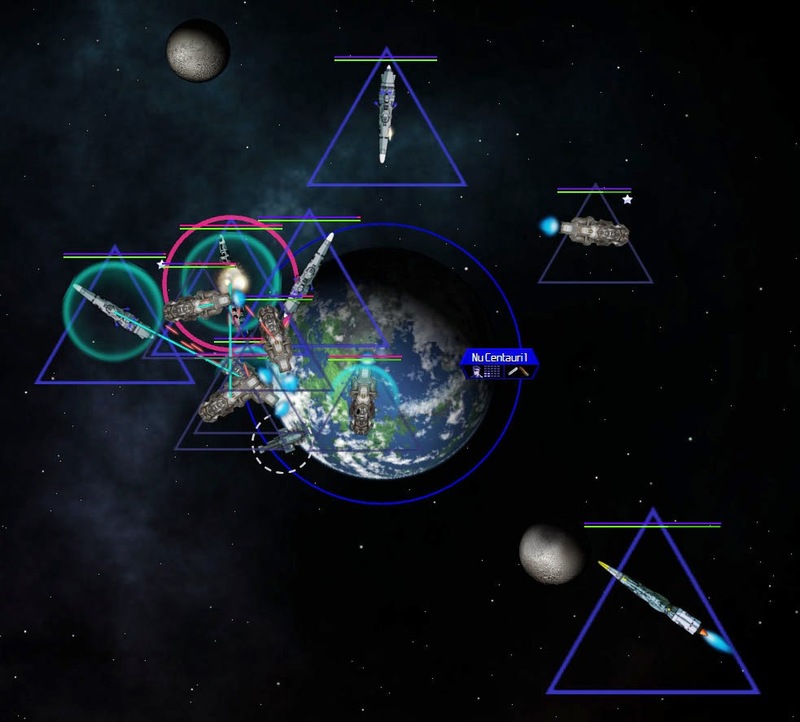 They send four frigates...which are no match for Olympia Space Port. 2125.01.21 The Atuuko ships focus on the Olympian research stations, destroying a gas station as well. They kill two scientists as well. 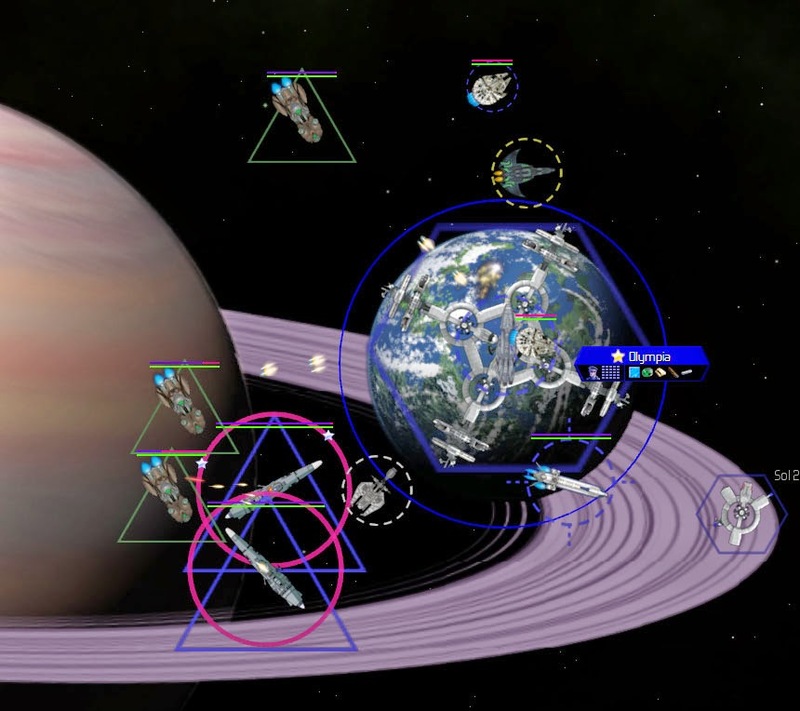 3rd Fleet will repay the favor when it arrives in the Atuuko system. 2125.02.04 Proof that the Kiadians are aiding the Olympians in the war. When this is over, they deserve the Republic’s gratitude. 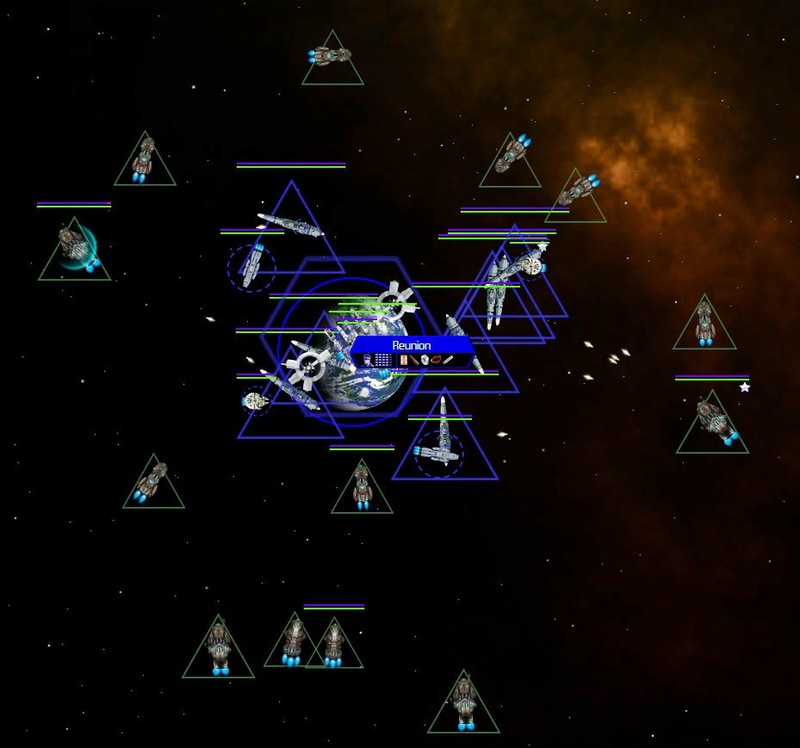 2125.03.01 Nu Centauri 1, which has experienced a respite from pirate attacks for years, is suddenly hit with a massive attack. 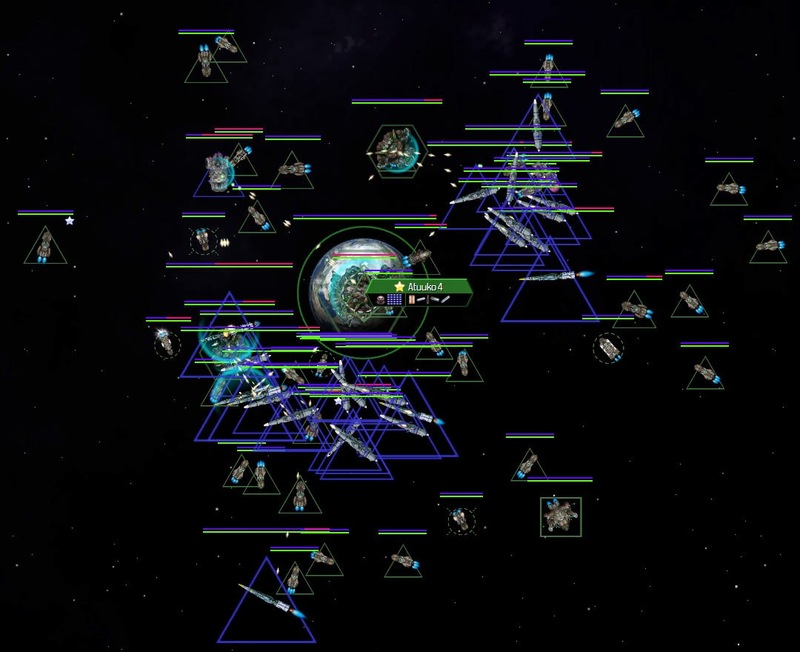 The defending fleet is out of position, and the space port goes down quickly. The pirates tear into 2nd Fleet like hungry wolves. 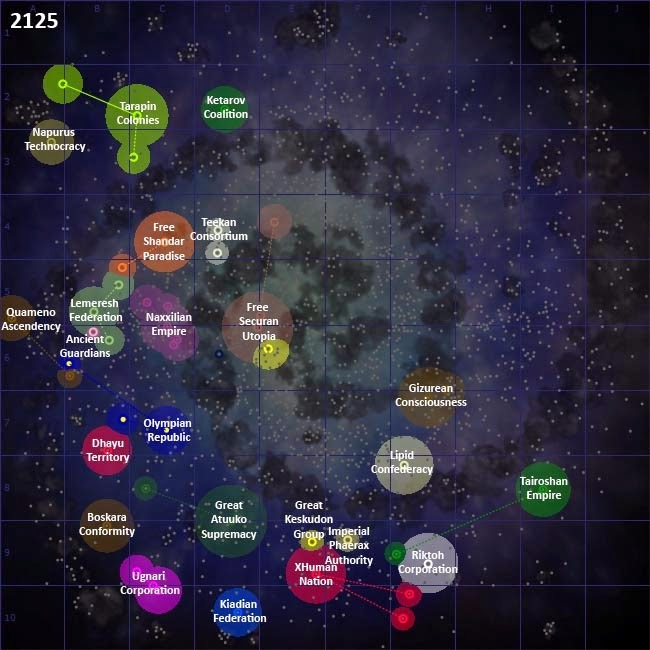 Pallas and Aquila are destroyed. 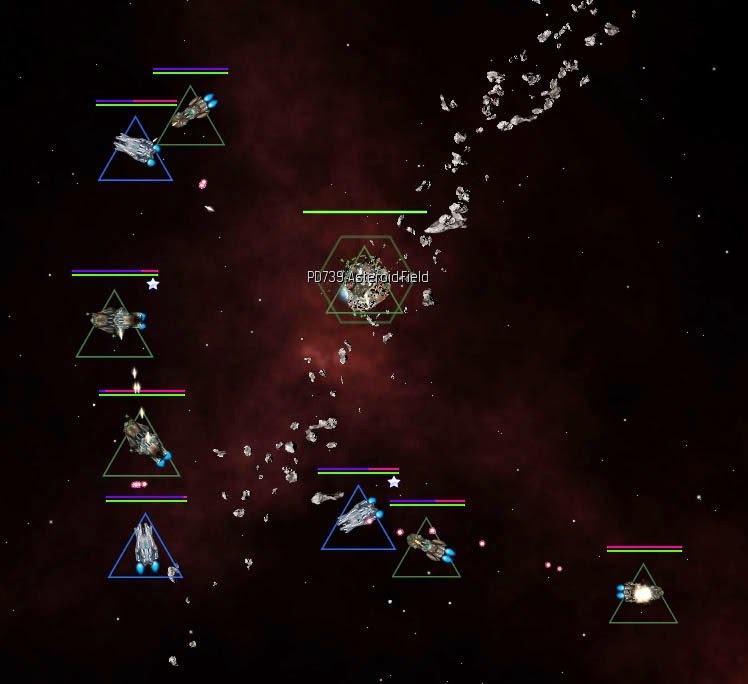 Reunion comes under pirate attack as well, but 1st Fleet should be able to handle itself. 2125.04.12 The Kiadians end their war with the Atuuko, having been beaten pretty hard. But they did their job, and their sacrifices will not be forgotten. 3rd Fleet closes in. Hydrus dies first. Atuuko reinforcements from within the system quickly arrive. Then Delphinus explodes, as does Crux. Things begin to get messy. Iris explodes, followed by Juno. Several Atuuko frigates and escorts fall, but the Atuuko defensive bases are brutal. Hebe explodes, followed by Grus and Cygnus. Bitter Cutlass, its shields down, escapes. 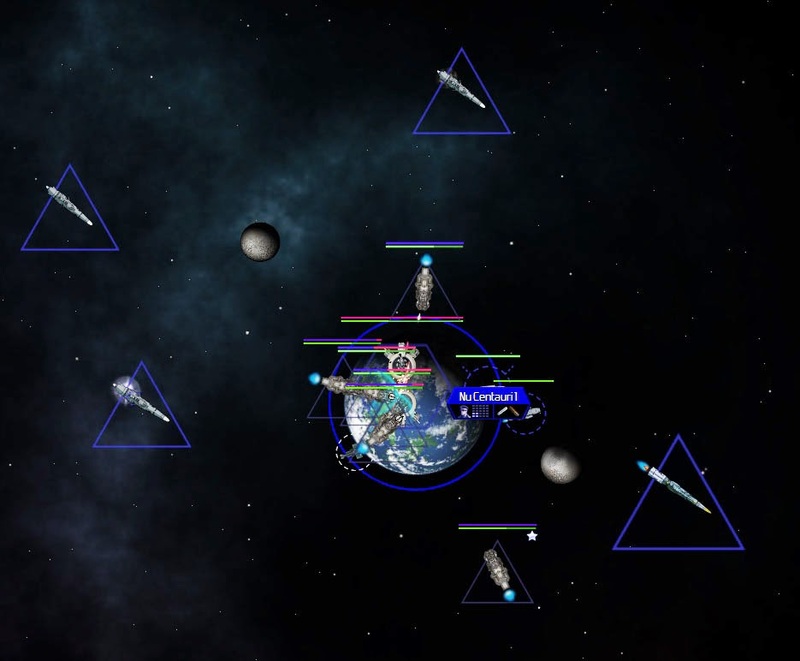 Flora dies, followed by Cetus, Vesta, Astraea, Gemini, Hydra. 3rd Fleet is whittled down to almost half its strength when Devastator arrives. Horologium explodes, as does Coma Berenices. Corona Australis, Chamaeleon, and Columba are next. Devastator takes out several escorts and frigates, but sustains damage and is forced to withdraw. The remainder of the 3rd Fleet is ordered to escape, but is overwhelmed and wiped out. Only Devastator, Bitter Cutlass, and the destroyer Potent Chaos, all recovered abandoned vessels, survive. The losses are horrific. In retrospect, the fleet should have waited for Devastator to join up, and then it should have attacked an outlying station in the Atuuko system, drawing out the Atuuko defense fleets, where they could be destroyed away from the planetary defenses. 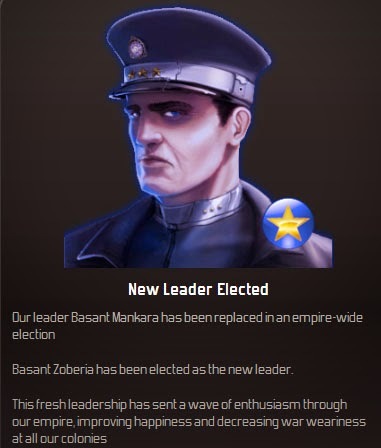 2125.08.24 In the Atuuko debacle’s aftermath, President Mankara is replaced by President Basant Zoberia in a special election. This is hardly surprising, considering the enormity of the failure. Elysion, for all intents and purposes, is lost. Now Olympia must attempt to recover. 2126.01.01 A state a war still exists between the Olympian Republic and the Great Atuuko Supremacy, but for the time being, all offensive actions by the Republic are suspended. 2126.09.03 After many tense months while the economy struggles, the Atuuko front has remained quiet, until an attack occurs at Reunion. 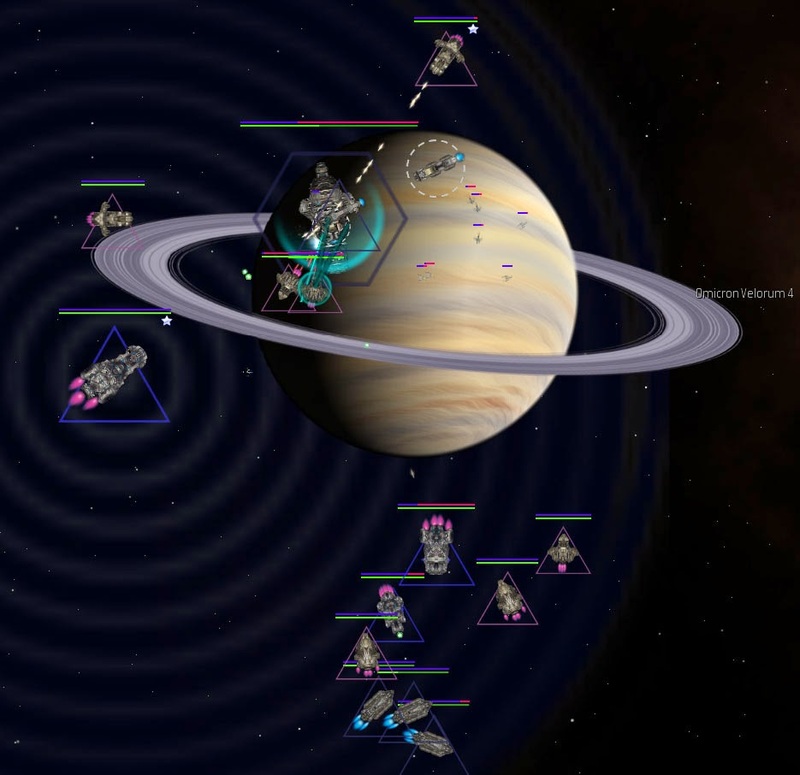 After a tense attack, Reunion Space Port is damaged, but destroys four enemy ships all by itself. The builders breathe a sigh of relief that they decided to upgrade the station to Medium size only recently. The rest of the attack force flees. 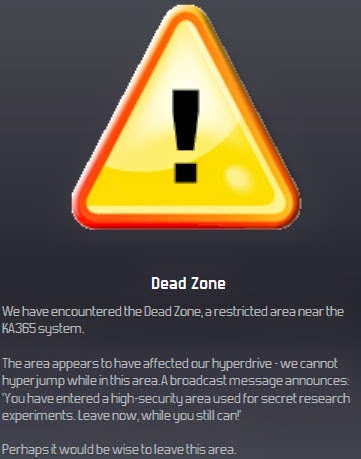 2126.10.05 EX-01 discovers a “Dead Zone”, surrounded by large amounts of Giant Kaltors. In the midst of it all is an abandoned base...which naturally must be investigated. 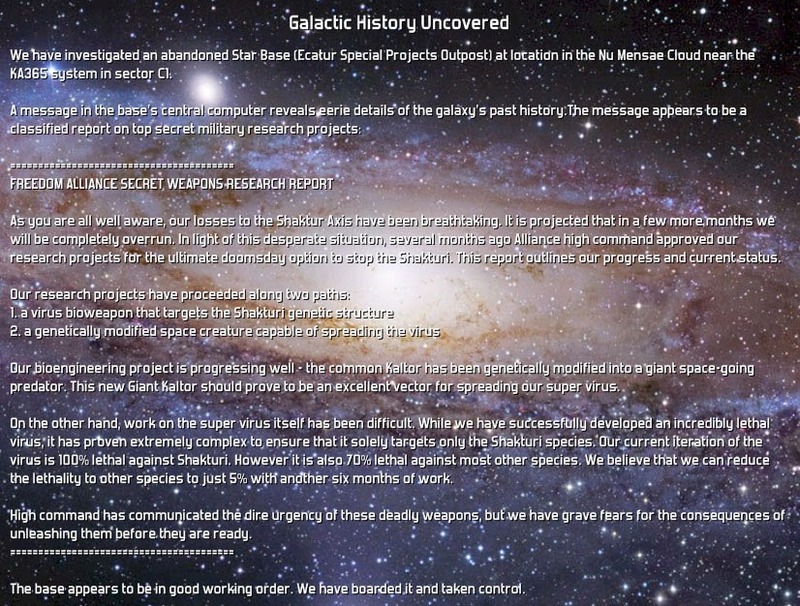 It provides some answers...which like all galactic history thus far discovered, is ominous. 2126.12.04 With the economy stagnant, action must be taken. 3rd Fleet is ordered to attack a base belonging to the Burning Claw Marauders. 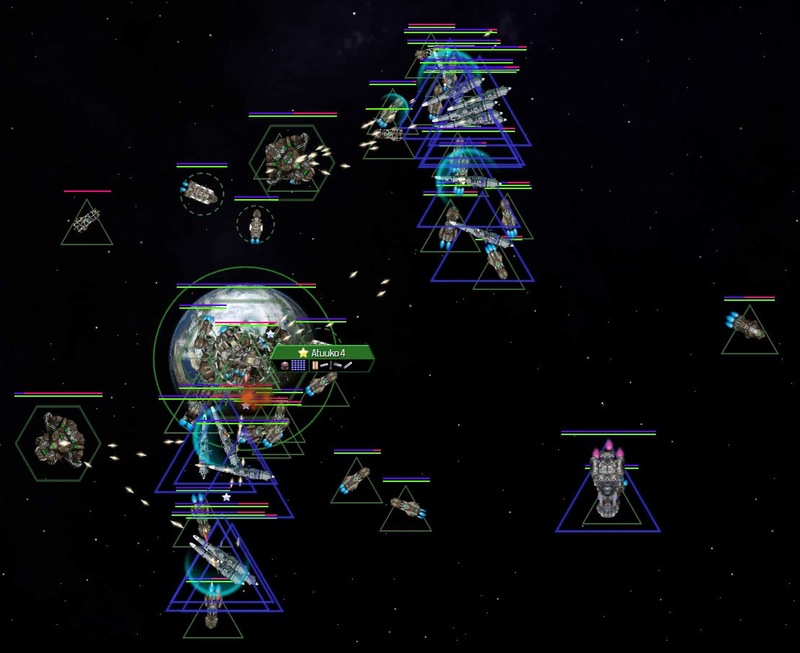 3rd Fleet arrives, and things are touch and go for a short while, but then a fleet from the Naxxilian Empire arrives, and assists by attacking the pirates! Thank you, friends! 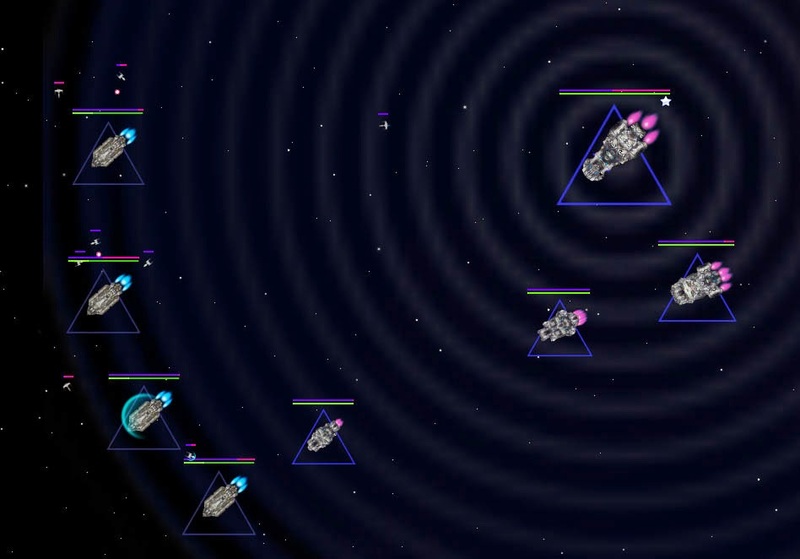 Devastator destroys the Space Port, and then wrecks several frigates that turn up to save it. 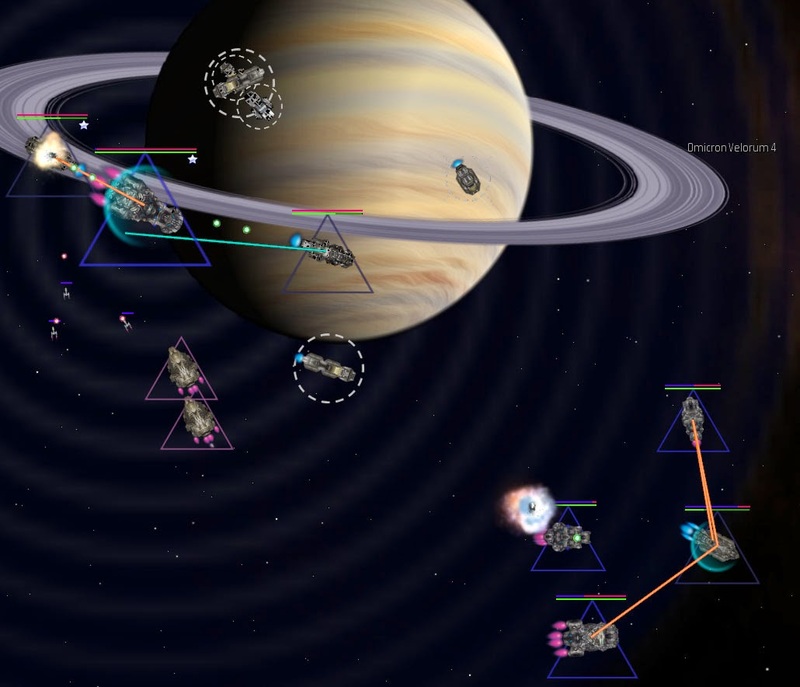 Black Horizon, Potent Chaos, and Bitter Cutlass go after the troop transports. 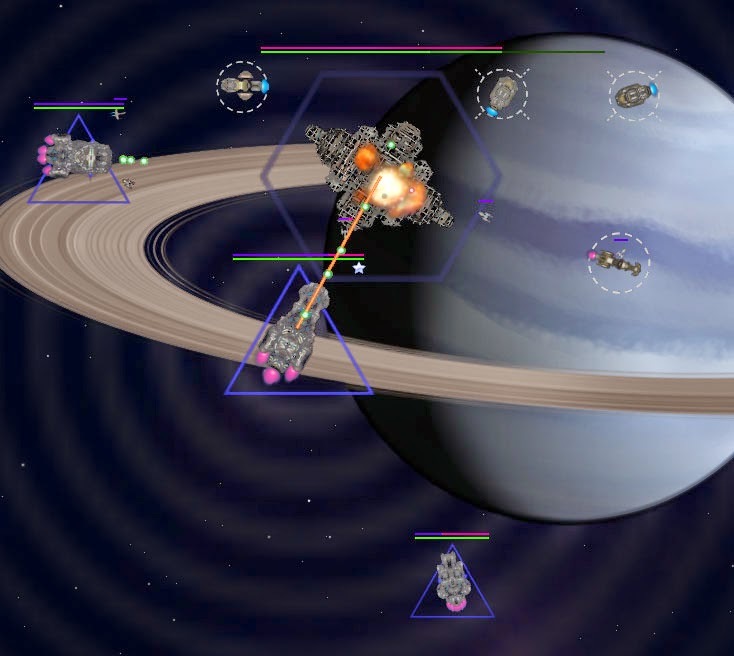 Once the warships are defeated, the ships go after the transports, which are prevented from jumping due to Devastator’s Hyper-inhibiting field. Slowly the Olympian ships close in, and the enemy is harassed by fighters and bombers along the way. 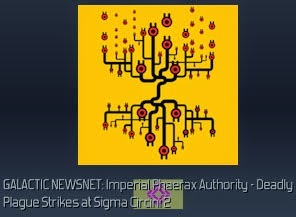 2128.01.01 As the new year arrives, the strategy is to send 3rd Fleet to destroy another Burning Claw Marauders colony, then to refuel and repair, and by that time, perhaps more troops will be ready at Olympia for an invasion attempt at Elysion. Desperate times call for desperate measures. 3rd Fleet arrives at the pirate spaceport and find it a tough nut to crack. Black Horizon is boarded and captured, and Devastator is boarded as well, but manages to fight off the attackers. The Fleet regroups and tries again. Devastator lays into the pirate Space Port. Agent Tarfan steals the operations map of the Great Atuuko Supremacy, and it and gets the Navy planners ready. Elysion may be rescued after all. The new plan is that just as the fleet arrives and drops troops, Agent Tarfan will incite a rebellion on Elysion. 2129.01.01 The Republic temporarily raise taxes across the colonies, and sells technology to multiple friendly empires, causing a spike in cash. High-Density Alloys are crash-researched. 2129.03.20 The Zenox, a race with which Olympia has had few relations, reveals more interesting information. 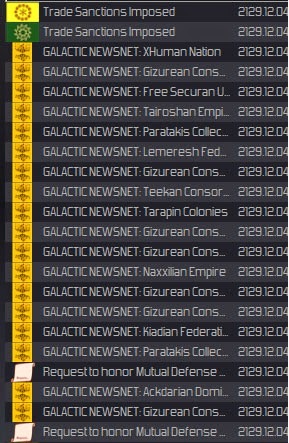 2129.06.15 Ships designs are upgraded, and 20 frigates and 13 destroyers are ordered with the new designs. 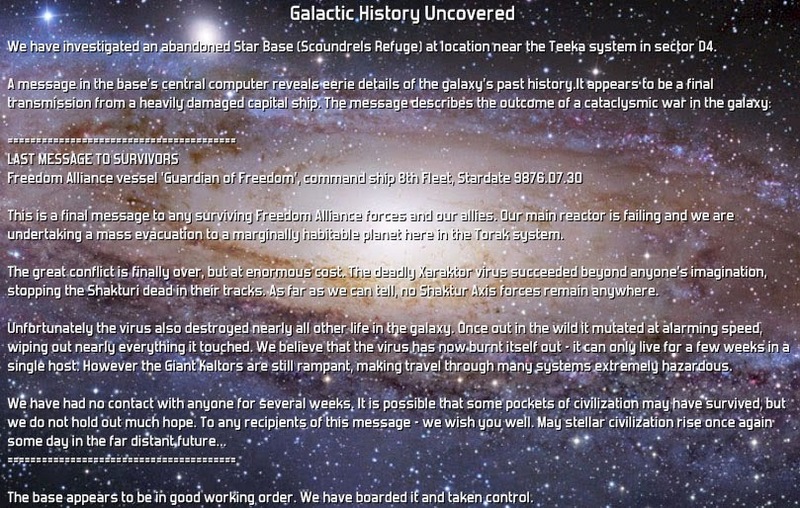 2129.07.26 The Galactic Newsnet has been filled with wars and peace treaties, most of which the President ignores, but this caught his eye, especially considering the plague that he had been learning about through the galactic history studies. 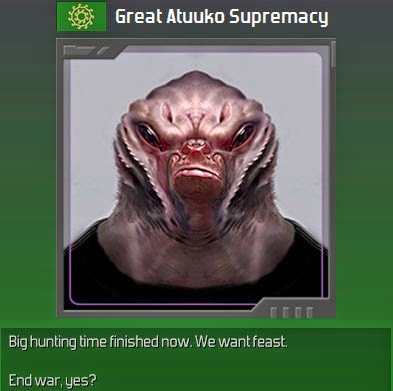 The Atuuko want to end the war. Olympia agrees to a truce...but fully intends to take Elysion back. 2129.12.19 The Kiadians find themselves embroiled in a war with the Paratakis Collective, and ask Olympia for help. Remembering their aid in the Atuuko War, Olympia agrees. 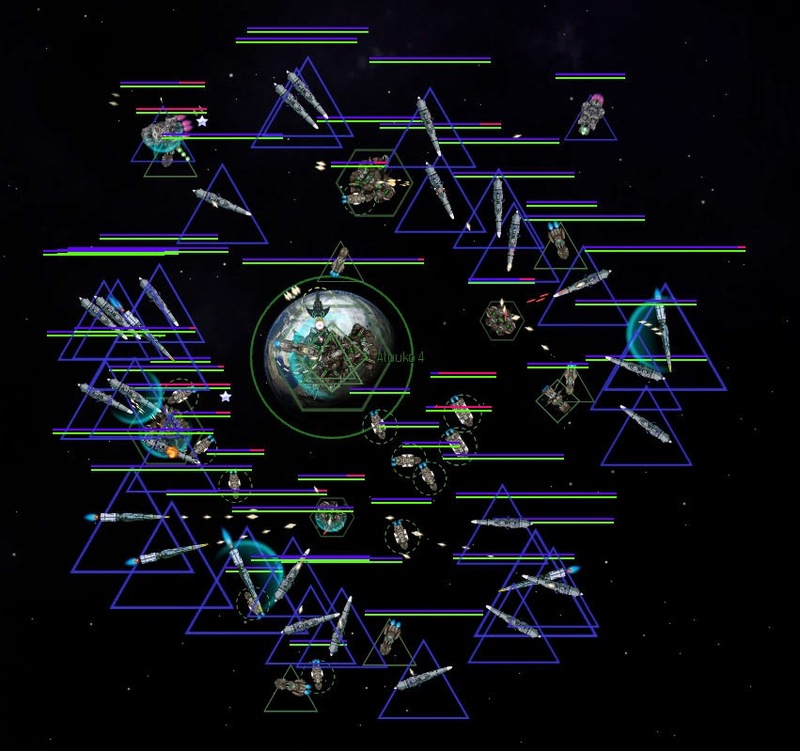 Immediately Trade Sanctions are imposed on Olympia by four empires, including the Atuukos, and the Galactic Newsnet is awash with declarations of war across the board. The Senate resolves to get out of this one fast.